The New England Aquarium is an aquarium located in Boston, Massachusetts. In addition to the main aquarium building, attractions at the New England Aquarium include the Simons IMAX Theatre and the New England Aquarium Whale Watch, which operates from April through November. The aquarium has more than 22,000 members and hosts more than 1.3 million visitors each year. Located in the central open atrium of the main building, the principal feature of the Aquarium is the Giant Ocean Tank, a cylindrical 200,000-US-gallon (760,000 l) tank simulating a Caribbean coral reef. This tank houses bonnethead sharks, sea turtles, stingrays, moray eels, barracuda, and many smaller reef-living fish. Open at the top, the concrete tank is surrounded by a walkway that spirals down, allowing visitors access to 52 windows that offer views of the reef from every angle and level. At the bottom, the tank stands in a large, square 150,000-US-gallon (570,000 l) penguin exhibit, hosting African penguins, Northern and Southern rockhopper penguins and little penguins. The penguin exhibit can be seen from the spiral walkway of the central tank or from elevated viewing areas that completely surround the perimeter. The penguins live on several artificial rock islands in the exhibit. The Bronx Zoo is located in the Bronx, a borough of New York City, within Bronx Park. It is among the largest metropolitan zoos in the world, and is one of the largest in North America, with some 4,000 animals representing about 650 species from around the world. The zoo comprises 265 acres of park lands and naturalistic habitats, through which the Bronx River flows. The Bronx Zoo is park of an integrated system of four zoos and one aquarium managed by the Wildlife Conservation Society (WCS). After lunch at the RiverEdge Resort, we will take the Uncle Sam Boat Tours 2 Nation Cruise. This international tour will take you on a 22 mile round trip through American and Canadian waters - what is considered the "heart" of the 1000 islands. We will arrive about 11:30 AM and leave about 6:00 PM. Package includes round trip motorcoach transportation, lunch and Boldt Castle Cruise. 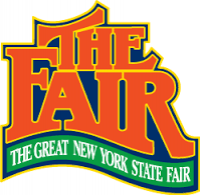 The Great New York State Fair is a 12-day showcase of agriculture, entertainment, education and technology. With midway rides, concessionaires, exhibits and concerts, it has become New York's largest annual event and an end-of-summer tradition for hundreds of thousands of families from all corners of the state. Arrival approximately 11:00 AM and depart at 7:00 PM. Package includes Round trip motorcoach transportation only. Over 60 of the Seacoast's top restaurants will be serving an abundance of mouthwatering seafood delicacies at the Hampton Beach Seafood Festival. This annual event also features 80 arts and crafts vendors promoting locally made products. In addition, there will be hundreds of Ocean Boulevard merchants offering end-of-season sidewalk sales; a Kiddie Land with ongoing entertainment and games presented by Radio Disney; continuous culinary chef demonstrations and two stages of continuous entertainment featuring top regional bands. We arrive 11:00 AM and depart at 6:00 PM. Package includes round trip motorcoach transportation only. Destination: Eastern States Exposition, Springfield, Mass. The Big E, also known as the Eastern States Exposition, is the largest agricultural event on the eastern seaboard and the seventh-largest fair in the nation. 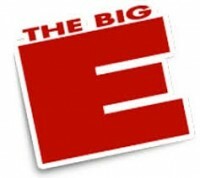 The Big E is inclusive of all seix of the New England States: Connecticut, Maine, Massachusetts, New Hampshire, Rhode Island and Vermont. Each of the New England States is prominently represented at the Expo. We will arrive about 10:00 AM and leave at 5:00 PM. Package includes round trip motorcoach transportation only.